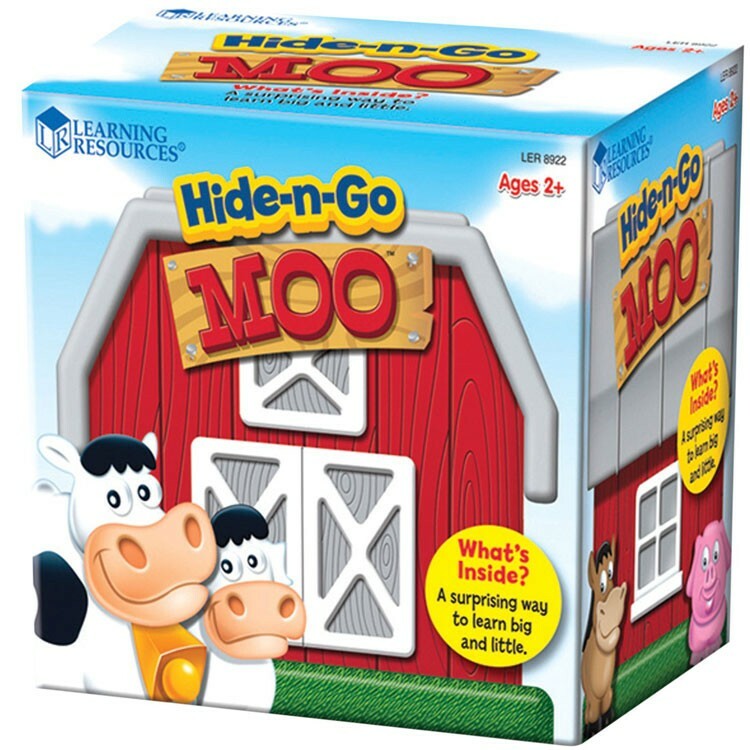 With the Hide n Go Moo farm toy set reach into the toy barn and identify your favorite barn animal only by touchvinyl flaps over the barn opening ensure you cant peek! 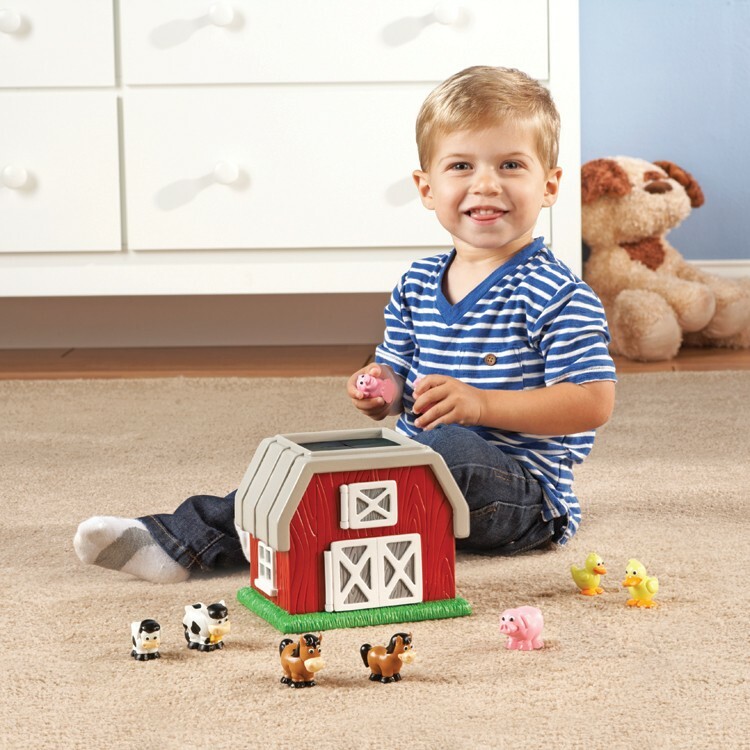 What's inside the mysterious red barn? 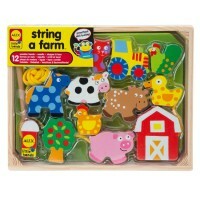 Try to guess the toy farm animal without even looking! 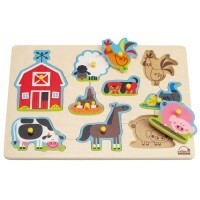 Reach into the toy barn and identify your favorite barn animal only by touchvinyl flaps over the barn opening ensure you cant peek! 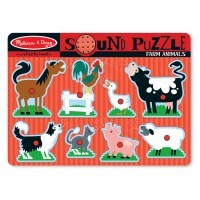 Now try to match the baby farm animal to its parent! 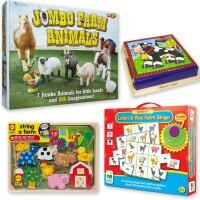 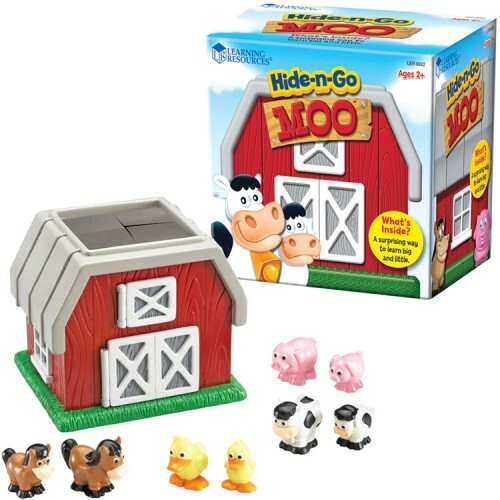 The Hide n Go Moo Barn Animals Toddler Play Set by Learning Resources is a combination of a pretend farm play set, tactile guessing game and matching activity. 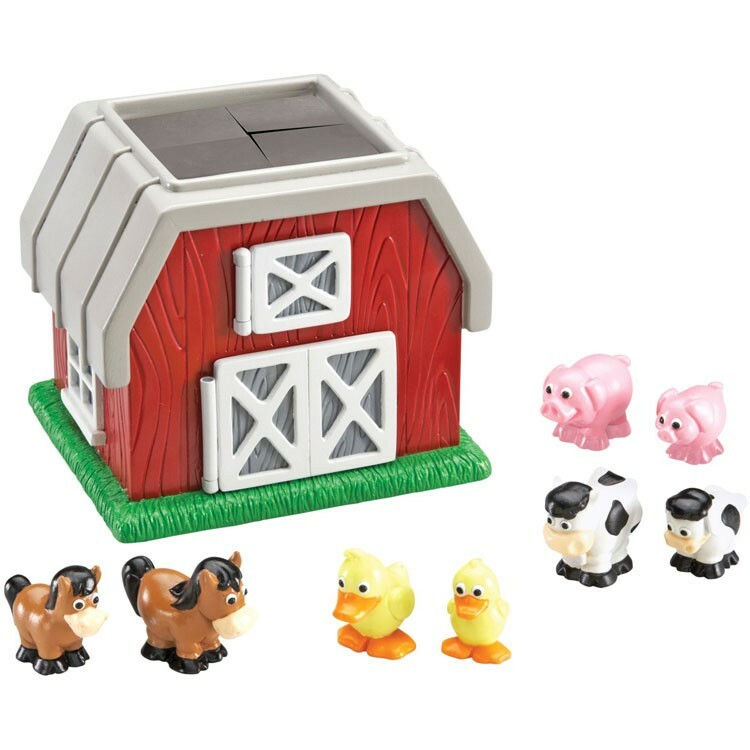 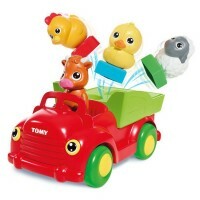 This farm animals toy set from Educational Toys Planet includes 4 pairs of adult and baby barn animals figurines: cow, duck, horse, and pig. 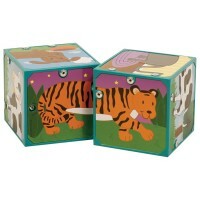 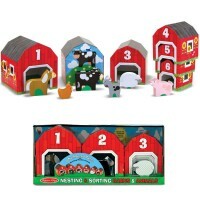 The peek-a-boo barn is also perfect for storage of all 8 animals toy figures. The Hide n Go Moo Barn Animals Toddler Play Set promotes thinking skills, identification, and dexterity for toddlers and preschool kids. 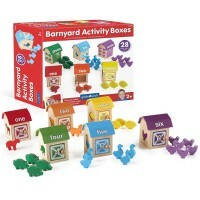 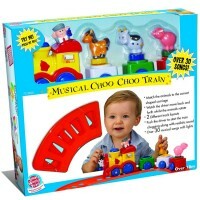 Dimensions of package 0.064" x 0.0725" x 0.05"
Write your own review of Hide n Go Moo Barn Animals Toddler Play Set.